VECTOR YACHT SERVICES HAS A SALE ON 2019 SUZUKI 350 HP. THESE ARE A V6 OUTBOARD . They ARE THE ONLY 350 HP OUTBOARD WITH A DUAL PROP. 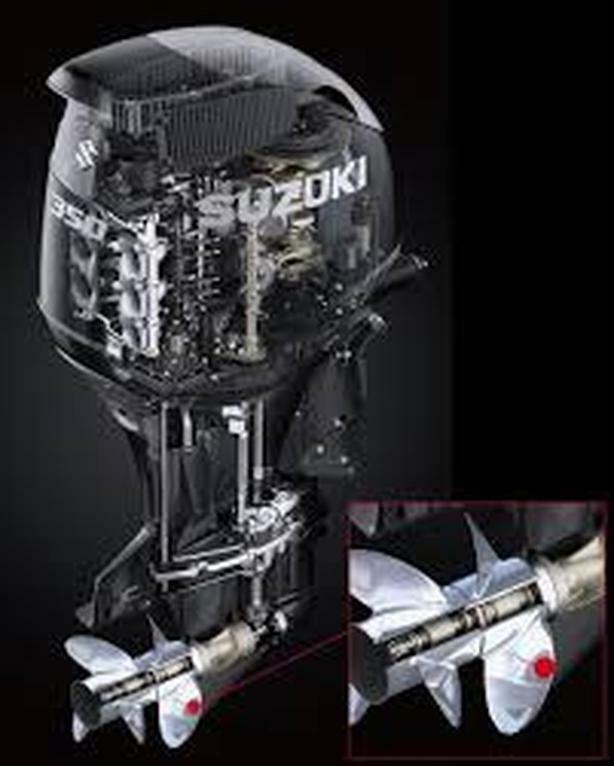 -Found on the DF350A and DF325A, the Suzuki Dual Prop System (also known as the contra-rotating propellers), is a revolution in innovation and efficiently turns maximum horsepower output into propulsion under water. With a total of six blades (three blades on each prop) the Dual Prop System provides more grip and propulsion to evenly distribute torque between each prop. Coupled with the hydrodynamic gear case, the result is greater outboard efficiency and performance. As each propeller rotates in a different direction, exceptional stability is achieved. This is achieved because the gear diameter can be reduced since the counter rotation propellers can disperse torque. It cuts down water resistance and increases speed. The Suzuki Dual Prop System spreads the propeller load for better efficiency at low speeds, especially when docking or trolling. It also improves handling and turning at high speeds. This enables a boat to reduce the speed and stop quicker due to twin counter-rotating propellers. The Suzuki Dual Prop System enables a boat to run straight and track true, eliminating the lateral forces associated with a single propeller.